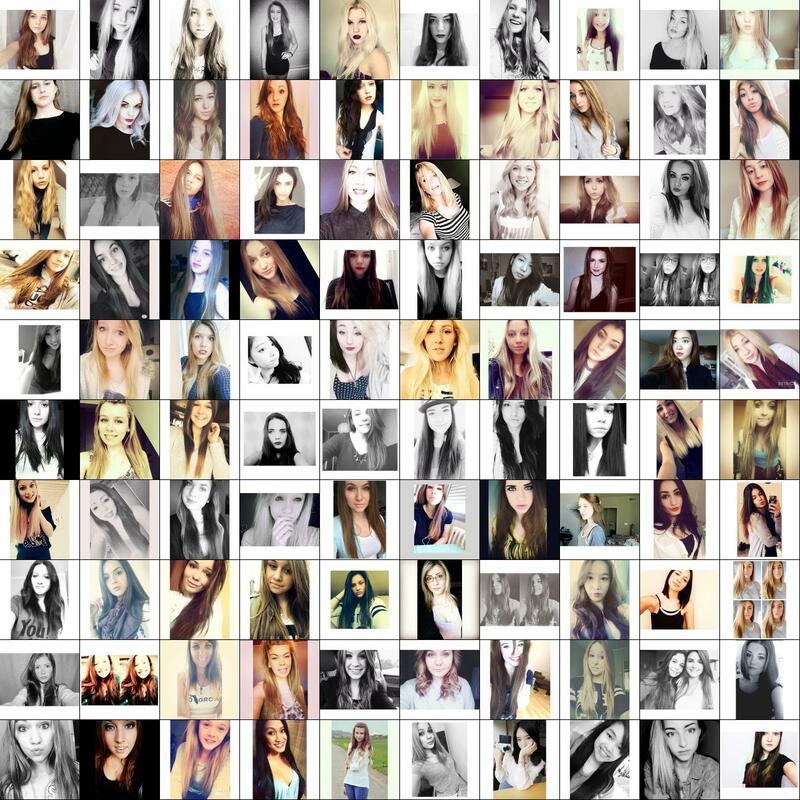 Does A Deep Neural Network Like Your #Selfie? Be female. Women are consistently ranked higher than men. In particular, notice that there is not a single guy in the top 100. Cut off your forehead. What’s up with that? It looks like a popular strategy, at least for women. Show your long hair. Notice the frequent prominence of long strands of hair running down the shoulders. Put a filter on it. Black and White photos seem to do quite well, and most of the top images seem to contain some kind of a filter that fades out the image and decreases the contrast. Add a border. You will notice a frequent appearance of horizontal/vertical white borders. Andrej also created a TwitterBot that will judge your selfie. Simply attach your selfie (or a include a link) to a tweet that mentions @deepselfie anywhere in it. The bot will analyze your selfie and give you its opinion (e.g. score 90% means that the Selfie Bot is 90% sure yours would be in top half of selfies. Selfie Bot was not impressed with my selfie. @hubs looking at https://t.co/7af3zUXjkG your selfie gets a score of 37.3%. Not very impressed. Greg Rutter has once again created a definitive list of the 99 things you should have already experienced on the internet unless you’re a loser or old or something. Once again, it is a little YouTube heavy, me thinks. But it still a great way to burn an evening. There are a bunch on this years list that I haven’t seen yet. Maybe I really am getting old or something. Greg Rutter does it again with his “Definitive List Of The Things You Should Have Already Experienced On The Internet In 2012 Unless You’re A Loser Or Old Or Something” list. His other two previous lists can be found here and here. Always an entertaining way to burn an afternoon or two. 59) Henry Thomas’s Audition For E.T. Only 66 things this time and nothing hidden in the source code. Robohash is a web service that makes it easy to provide unique, robot images using any text input. Put in any text, such as IP address, email, filename, userid, or whatever else you like, and get back a unique robot for your site. Above is the unique robot created for Artifacting. If Robot Unicorn Attack Heavy Metal was a little too rockin’ for you try this one out.